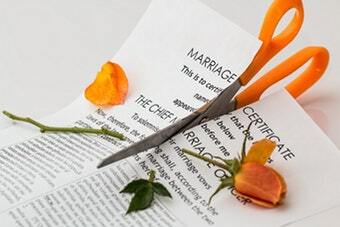 One of the reasons that divorce is such a challenging life transition is its public nature. A couple might keep their problems private as they try to work through them. But if a rift opens that can’t be mended, the couple will have to share some very difficult news with friends and family as they separate from one another. Few of us will have to reveal emotional personal issues to as wide an audience as Jeff and MacKenzie Bezos recently did. The statement that Jeff released on Twitter suggests that he and MacKenzie are trying to make their split as amicable as possible by using three insightful ideas that could help anyone struggling through a divorce. 1. Be open and honest with those closest to you. Couples need privacy as they deal with strains on their marriage. But once a decision is made, clear communication with your family, friends, and each other will be very important. That goes double if any young children are in the picture. The more open a couple is about what’s happening, the easier it will be for you to find the outside support that will help you through this transition. Good dialogue might also help you and your former spouse to focus on the essential tasks at hand, like dividing your assets and updating your essential estate planning documents. Shame, embarrassment, and guilt are common feelings associated with divorce. Playing the blame game or trying to “win” the divorce can quickly turn all those amicable best intentions into bitter personal and legal issues. Instead, the Bezos statement is a reminder that the end of a marriage – especially a long one – doesn’t erase all of the positive things that came before it. If an amicable divorce is possible in your particular situation, then don’t be ashamed or embarrassed. Cherish those precious shared experiences, like the birth of children, happy vacation memories, the difficult times you helped each other through. Embracing these feelings of gratitude will help ease both you and your partner through this process. 3. Focus on the positives ahead. When we work through the $Lifeline exercise, we emphasis that important transitions like retirement, children graduating, weddings, and yes, divorces, are ends in one respect, but also new beginnings. They’re the start of new chapters in your life. That might be difficult to see when the pain of a divorce is still raw. But it’s important to open yourself up to new opportunities when they present themselves. You’re about to start your single life all over again. And yes it’s scary. It may not be what you wanted. And you may be bitter. But over time, you may be able to see what awaits you on the other end. It could be traveling that you’ve longed for. Maybe you’ll relocate, start a new career, begin new hobbies, and meet new people. You might have more financial resources at your disposal to explore solo than you did when you were younger and unmarried. And you might approach these experiences with a more mature and grateful perspective, enjoying every minute just a little bit more fully. We want to help you through all of life’s major transitions, the positives as well as the challenges. If there’s change on the horizon, make an appointment to come in and review the $Lifeline exercise with us. We can help you plan ahead so that the next chapter of your life is the most fulfilling yet.